Steeline Metal Framing Systems offers a comprehensive service for overseas projects. The Australian made and manufactured steel frames can be "flat packed" into shipping containers with each section marked in conjunction with a fully documented assembly matrix. This comprehensive process enables the installer to fully understand each section and its position in the project's overall design. We also offer a service to fully supply all materials for the entire project, including roofing, flooring, doors, insulation, windows, cladding, etc. 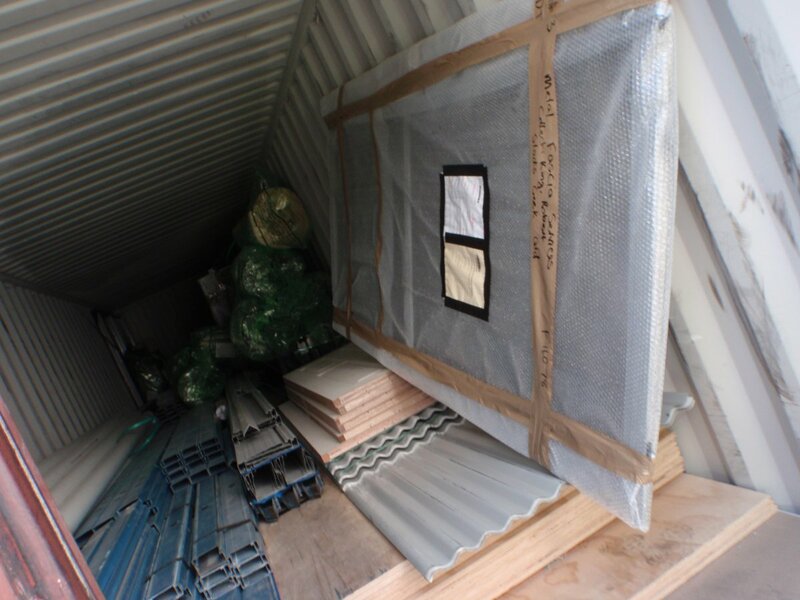 These materials can be containerised for either sea or land transport (see photo). Contact Steeline Metal Framing Systems to organise your metal framing requirements for export now.